US Army Pfc. 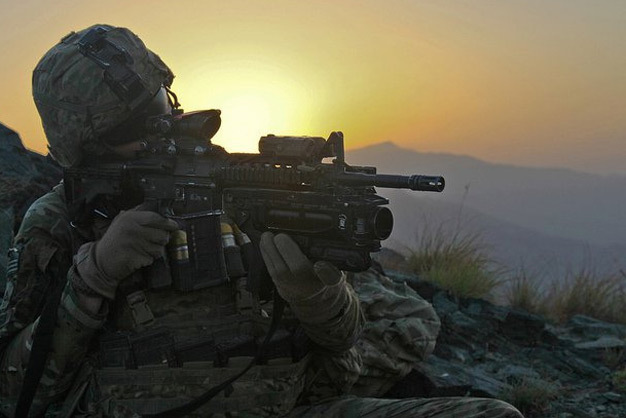 Sean Jamison with Company D, 2nd Battalion, 506th Infantry Regiment, 4th Brigade Combat Team, 101st Airborne Division (Air Assault) provides security atop a mountain during Operation Sarak Basta II at Paktika province, Afghanistan, June 19. The operation eliminated an illegal route between the Afghanistan-Pakistan border. Photo by the US Army.